Do you have big plans for tomorrow night? We will be hanging out with my friend Kim and her family. We are super excited. If you are on the hunt for kids New Years Eve party ideas search no more. Here is a collection of 15 awesome ideas to keep everyone entertained and excited about the clock striking midnight. My favorites are the balloon drops and milk and cookies toast! Easy Fireworks Ring– this is made from pipe cleaners and so simple to create. Love it! Fireworks Wand– this goes perfectly with the ring. Fireworks Painting– great hands on activity and fine motor skill building for little ones. 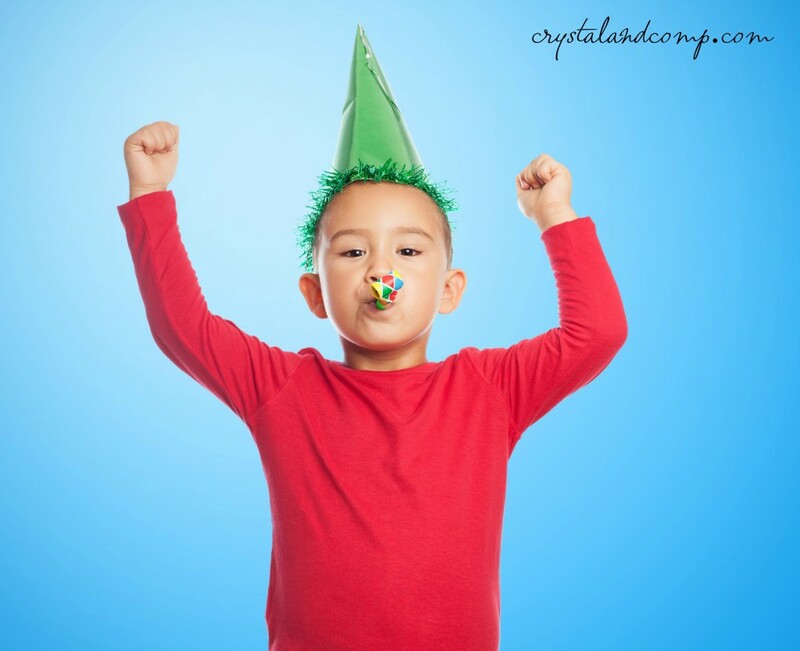 13 Fun Activities for Celebrating New Years– a list full of activities your kids will love. Balloon Drop– how to make your own balloon drop for the kids! Best New Years Eve Party Ever– use balloons with messages inside that are popped once an hour with a new activity until midnight! Cookies and Milk Toast– love, love, love this idea! Homemade Noise Makers– recycle empty water bottles for this one! Ring in the New Year– using candy ring pops! Countdown Activity Using Lunch Bags and Clocks– treats inside of course. End of the Year Time Capsule Printable– so much fun to hold on to as a keepsake. 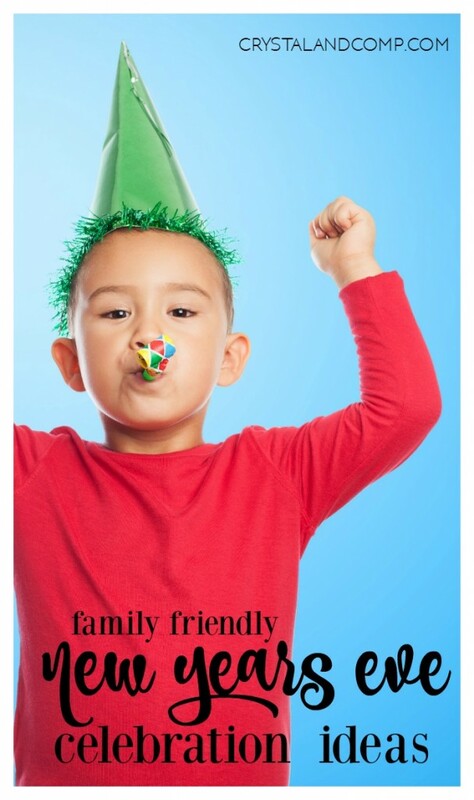 New Years Eve Printable Pack– sheets and sheets of activities for the kids. New Years Coloring Pages for Kids– easy way to keep little ones entertained. New Years Activity Sheets– color, word hunt, maze and tic tac toe! Noise Maker Plate Shakers– made out of paper plates. For real. How do you ring in the new year with your kiddos? Do you have a New Years Eve tradition here in the Dallas area? If not, maybe it is time to start one? The Big D NYE is a live television event that is produced with ABC-TV, WFAA-TV and the American Airlines Center which is home of the Dallas Stars and Dallas Mavericks. We have watched it the last couple of years live on television, maybe you have too. Have you ever considered going? Here are 10 reasons the Big D NYE rocks! Did I mention it is totally free to attend? 10. 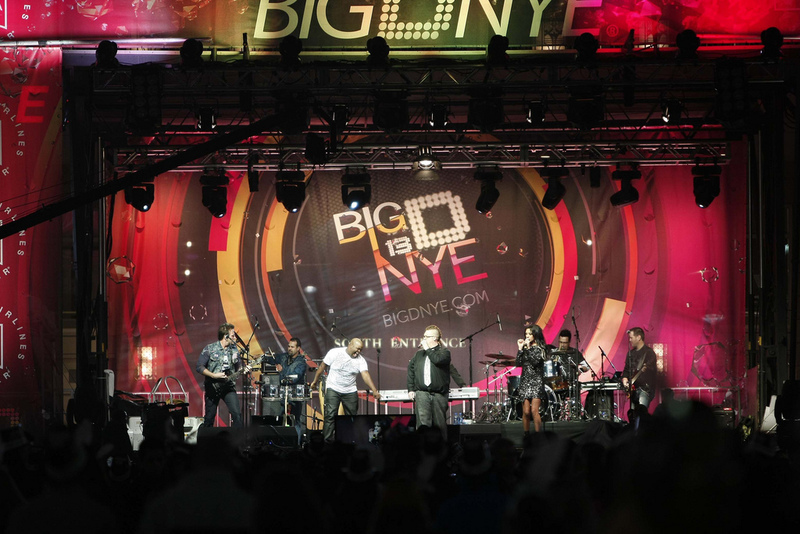 Big D NYE is the destination for ringing in the New Year with more than 35,000 people joining in the fun with this family friendly event that is free of charge. Many families come from more than 10 miles away to Victory Park for the celebration. It’s THE place to be! 9. The event is presented by North Texas GMC Dealers and is broadcast on WFAA-TV Channel 8 and is syndicated across 9 states from 10:30 pm to 12:30 am. So, if going in person is not an option, you can totally watch live on tv from the comfort of your own home. 8. If you go, arrive hungry and stay late. No need to make dinner reservations because the Big D NYE will have 8 of the best food trucks on site! We’re talking award winning food trucks. 7. The party starts at 7:00 pm when DJ Ro Parrish starts spinning the music. Dance all night long. 6. You can stay connected throughout the event 6 different ways. All of the social media handles and website info is included at the bottom of this post. 5. Worried about being cold out at the Big D NYE? There are 5 heaters spread over the event to keep everyone warm. 4. Feeling lucky? 4 revelers will get to ring in 2014 high above the crowd in the Korbel Toast the Life Private Suite! 3. Fireworks are a must as we ring in the new year. At midnight fireworks will light up the sky off of 3 different buildings! 2. Why not celebrate 2 times? Big D NYE will show the New York Ball Drop Live as well. 1. Fifty Dollar Dynasty was selected number 1 by the fans and judges at Texas Motor Speedway. They are coming all the way from San Antonio to rock us with their music as we celebrate 2014! What is your New Years Eve tradition?